Our first guest pairing comes to us via my Facebook friend Sergey Verstov from Moscow! Sergey Posted this on our Facebook page as a New Years Pairing. 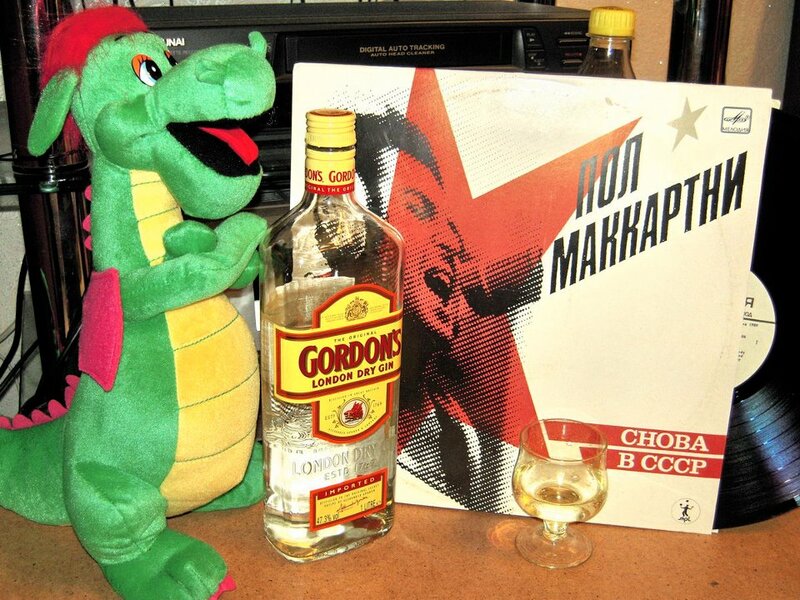 Featuring a Russian edition Paul McCartney vinyl, a stuffed dragon representing the 2012 year of the dragon and a classic London Dry Gin! Great job Sergey awesome pairing! — with Dragon From China 😉, Gordon’s Gin, Paul McCartney and Мелодия in Moscow, Moscow City, Russia. Guest pairing from Dana Brown in Austin, Texas. A Saturday morning safe for the kids pairing! A first for us. It doesn’t always have to be about the alcohol. Thanks Dana! This is awesome! 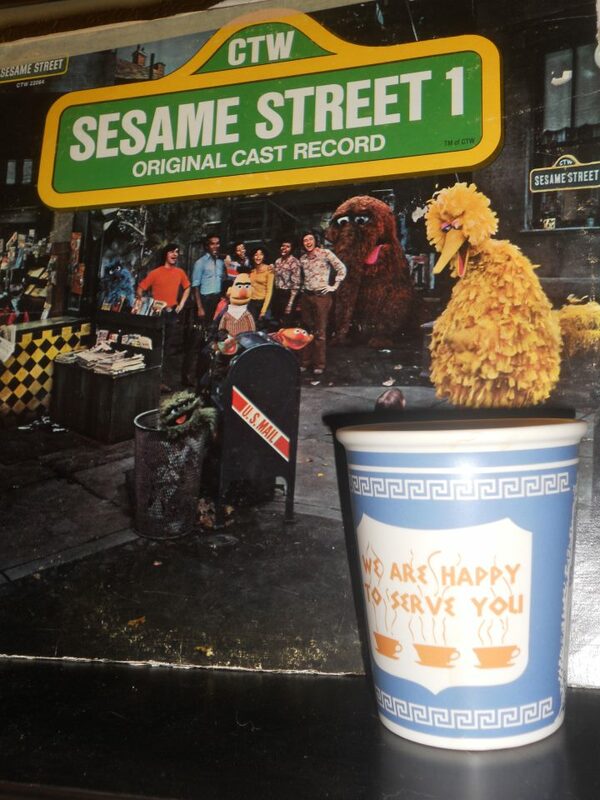 A piping warm cup of coffee and a classic Sesame Street vinyl!